Cinnacake Classic: A tribute to our famous Classic Roll – moist, vanilla cake infused with Cinnabon’s Makara Cinnamon, topped with our signature cream cheese frosting and garnished with a caramel, Makara Cinnamon swirl. 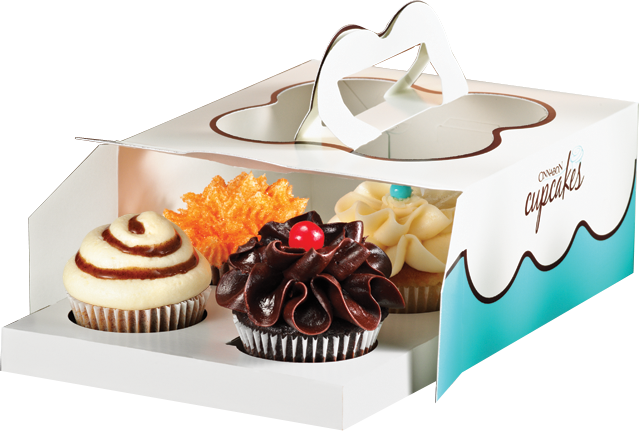 Chocolate Passion: If you like chocolate, you’ll love our moist, decadent chocolate cupcake topped with rich, chocolate buttercream frosting. Vanilla Bliss: Calling all cupcake purists: This moist, divinely vanilla cake topped with luscious, vanilla buttercream frosting is for you. 24-Carrot Cake: Picky about carrot cake? 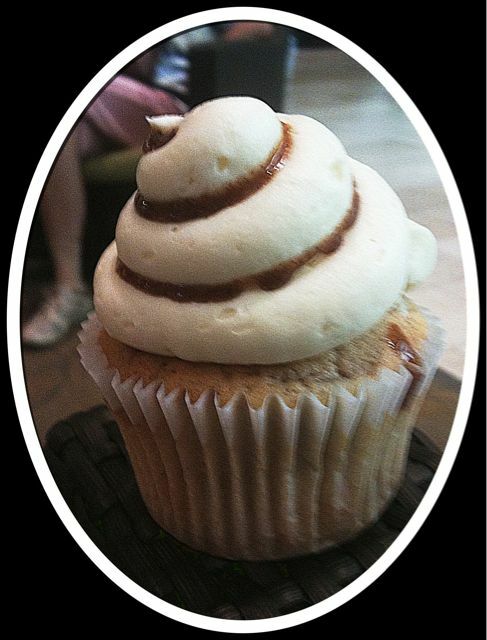 Try our gold-standard carrot cupcake! 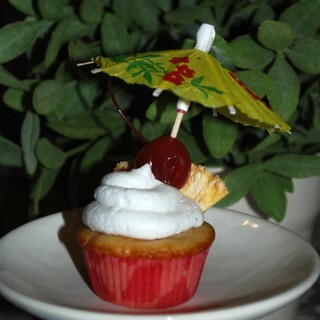 It’s perfectly spiced, has a hint of pineapple and coconut and is topped with our signature cream cheese frosting. So…I didn’t really expect a lot from a mass produced cupcake. I assume that these are shipped to the Cinnabon shops I can’t imagine that all of the workers are trained to pipe these icings designs. The cake was moist and very dense. The texture was somewhere between a Cinnabon and cake. It was nicely cinnamon-y and I really liked it. However…the icing…oh, the icing….BLEH! I’m not sure if the “signature cream cheese frosting” is the same as the glaze on the cinnamon rolls. I don’t recall being repulsed by that…but, then, after I learned that a Cinnabon has about 1000 calories, I haven’t felt the need to indulge… I am also going to assume that if the cupcakes are shipped in from parts unknown that the icing is composed mainly of shortening. It tasted like shortening and sugar…also known as grocery store icing. I didn’t get any cream-cheese-tangyness and the cinnamon caramel swirl was slightly bitter. Needless to say, most of the icing went into the trash. I was in a cupcake mood at the mall and did not have a problem saying no to all four if those cupcakes!! If I’m gonna have a cupcake, I want a real cupcake! Glad to hear I’m not missing out!